As one of the requirement to attend the Certified Cost Professional (CCP) is to develop 2500 word at minimum) technical paper. In this AACE Certification preparation course, one of the project study is to develop that technical paper. Since the workload from external (Project sponsor and personal matter) and the paper schedule is overdue now then Author will do the assessment to make a decision what is the plan need to propose and what is the action need to take whether to re baseline or to de-scope this project. In this case Author will do the assessment on independent estimated completion date (IECD). The IECD is to predictive the project completion date based on future schedule performance being consistently with past schedule performance . In this case Author will know the paper project completion date (estimated). The component for IECD could refer as the following on figure 1. This is equal to Week 19, it mean another additional 7 weeks compare to original schedule (Week 12). Based on above table, it required another 19 hour to complete the paper project. 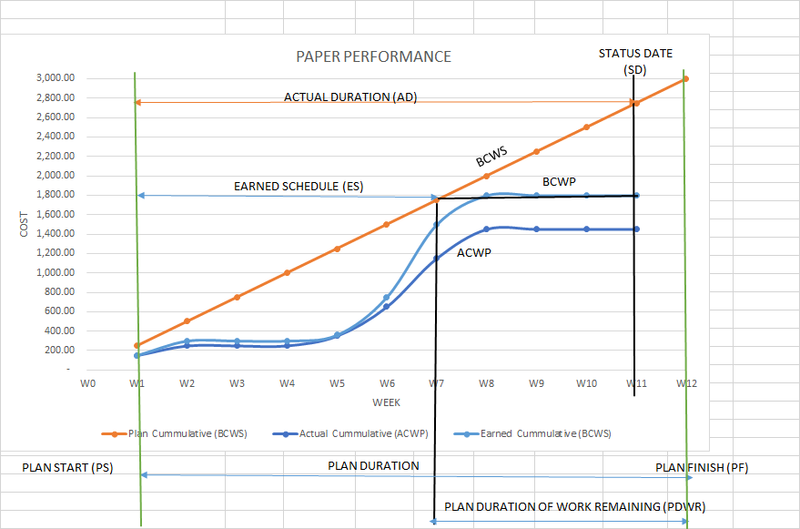 If I need 5 hour per week it will need another 3 weeks to complete it compare to current plan (Week 12), it mean the paper will finish at Week 15. Selection of the Acceptable Criteria. 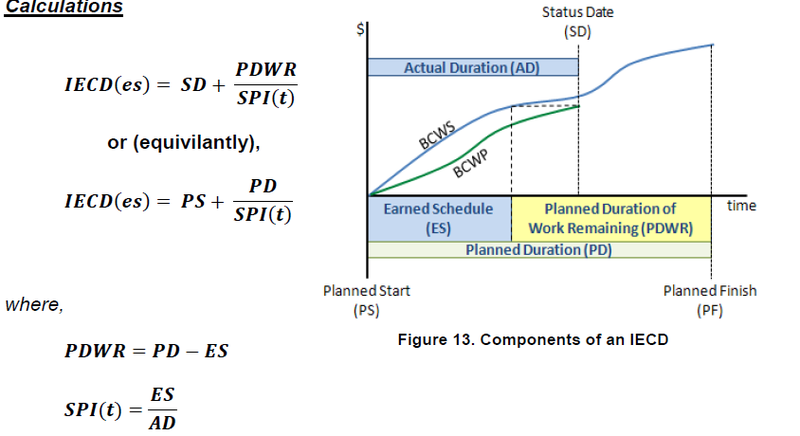 Based on data presented above, both method can be apply to predict date of completion of paper project. Analysis and Comparison of the Alternatives. Based on data presented above, in case to finish the paper project, it will potentially require another 7 weeks additional time if we refer to IEDC method and it will required another 3 Weeks additional using the word count method. Based on comparison above, using the SPI gave the longest additional week compare to the estimate using word count method. In this case additional 3 week potential to select and more realistic in this course. However if we refer to the current schedule where another problem solving project coming on Week 13 it will give more difficult to implement and time arrangement plus another work load from project sponsor need to achieve. If we refer to total time will spent every week it could be minimum 9 hour per week (5 hour for paper + 2 hour for blog + 2 hour for problem solving). In case to run the remaining course project more focus then to de-scope the paper project is the realistic approach at this time and continue to complete paper after course finish is more reasonable. De-scoping paper project is strongly required at this time. This approach could save other remaining course program with more focus. As the paper de-scoping already selected, this is will be the starting point to focus on second certification program other than CCP. Humphreys, G.C. (2014). Project Management Using Earned Value, Third Edition, Humphreys Associates, Chapter 32, 559-568. AWESOME case study Pak Edi and you did a really nice job on your analysis, Unfortunately, I have to agree with your conclusion that you are better off to descope and focus on PASSING your second choice AACE certification then picking up the paper afterwards and finishing it off. But regardless, you have demonstrated a very solid understanding of applied Earned Value management and I would really urge you to consider going for your EVP as your second choice. As I recall, there are only 2 EVP’s in Indonesia which would make you truly unique and make you very much in demand. Keep up the good work and I hope you will continue your great efforts to make this course successful.